This is the 335th blog post I have published since the most - - of every moment began. I have been asked how I am able to keep coming up with new ideas to write about. I'm not sure I really have an answer. Writing is a little bit like thinking. It just happens. I may be struck by an idea while I'm gardening, or falling asleep, or cooking dinner, or taking a shower. I often write whole pages in my dreams, only to awaken in frustration, with nothing but a teasing tidbit of that content remaining once I am conscious. Sometimes I have more ideas in my head than there are days to write and publish them. Occasionally, I draw a blank. An editorial calendar can help - if you use it! scheduled many weeks in advance. Some months, I am good at this - others, “not so much!” It seems that each time I get a stash of ideas for articles, they quickly get used up. Even when I have a calendar filled in, I find I do a lot of rearranging and scratching out. It seems I need to be able to write what suits my mood at the time. Pretend to be ready to write. When the creativity well is dry, one of the best ways I have found to come up with ideas is to open my computer, log on to a blank page, and let my fingers hover over the keyboard. The sight of an empty page, waiting to be filled with words and pictures, encourages me to begin. Search for something that will trigger an idea. Sometimes the blank page does not inspire me though. When it doesn't, I go (physically) in search of an idea. Wandering around my house can sometimes sparks a memory that can lead to an article. Looking through our bookcases, photos, and my recipe collection can help me select a topic. Thinking about my recent activities may remind me of a tip I want to share. Use of a word prompt has come to my rescue more than once. Surfing on Facebook can feel like a waste of time, but it can be a gold mine of things to write about. Local and National news can provide a thought upon which to expand. I try not to write just for the sake of writing. If I am not inspired, my reader will surely not be either. It is better to not publish anything at all, than create something I am unhappy with. Once I finally select a topic, the words usually begin to flow. Rather than not having anything to write about, the problem is usually not having the right thing at the right time. Circumstances of when and where an article will be published, and how much time and energy there is available to write it must be considered. If I have a really good idea, I want to be sure I am in the right mindset to write it, and that the article will be published in the most optimal place and time. It is wise to think this through carefully. I have also learned not too wait on an idea too long, however. When you do, that subject can sometimes grow stale or loose its importance. This blog is best categorized as a "lifestyle blog." It does not have a heavy emphasis on any particular topic. Its central theme, making the most of life's moments, can span a wide variety of topics. The only rule I try to follow is that each post must educate, motivate, entertain, be thought provoking, or in some other way offer my reader an opportunity to make good use of a moment or more. Not having a “niche” (a topic I write about in-depth) is both a blessing and a curse. It gives me the latitude to write anything I want to on any given day, but I sometimes would like the structure of a niche that defines the topic about which I should write. Niche writers have the comfort of knowing their readers are there because they want to learn more about the topics covered on that blog. My readers never know quite what they are going to get - and I never know if I am writing what they want to read. I can only hope I get it right! When I opened my laptop to write this post, I had no ideas in mind at all. I had been feeling anxious about not having a topic planned when I logged on. Fingers over the keyboard, an idea began to take shape. What triggered the words you just read here? It was the emptiness of the page and the memory of a conversation. Writing is like thinking. Don't you think? If you are a writer, how do you avoid writer's block? If you are a blog reader - what type of posts have you enjoyed most here? Until I read to the very end I had NO idea that you started this post without a topic. Genius. Writing to me is a lot like thinking. And it's a lot like talking. When I write I try and write as if I'm chatting to a good friend. Or at least that's what I'd like the end product to be, I go through so, so many edits in the process. As for ideas - they do just pop up, don't they? I don't have an editorial calendar. Oops. Perhaps I should. Maybe that would save me time. I am trying to get more focussed - to free up time to do other writing projects. But then again - I'm like you. I have to be inspired to write about the topic that day, rather than have to it. So you change up your calendar a fair bit, eh? How far in advance do you plan your calendar? l love your writing voice, Kelly. It is just like having a good chat. My first draft goes quickly too - and then I usually edit until time runs out! How far in advance do I plan? The most ever was a month - and it was quite rearranged in the end. Lately, I seem to not be planning much at all. Hoping to work on that! I am so glad you found this helpful Joy. Nothing I have ever read by you has been dry or boring - so if you have been feeling that way, you have masked it well! I was in a bit of a funk a bit ago, but took a little time away from social media, and it helped a lot! I love the different things that you write about. I think it's very inspiring. I struggle with the same thing sometimes but I think I am finally getting a handle on it. I'm slowly making some changes like the ones we talked about. I'm excited. I had to laugh though because last night I wrote an awesome post but was to tired to get up and write it down. This morning nothing of course can't even remember the subject. Happens all of the time! Thanks Rena - for the comment, and all of your support! I'm glad you are pursuing the changes that you want. Sorry to hear you forgot your "sleep-written" post topic - but it is a little reassuring that I'm not the only one that happens to! Excellent! The ideas just come, don't they. Sometimes triggered by a song. A conversation. A smell. A picture. Something one of the grandkids does. My trick is to write them down before the brief flash of inspiration winks out. The trick is definitely to write those thoughts down the second they flicker through our minds. Too often though, a writing device is not handy! I am getting better at it though. Stopped today in the middle of sorting laundry, and drafted (roughly) a whole post on my computer that I had been composing in my head. When I first started out in 2011, I tried to write every day - but found I couldn't find enough to say about the toys I write about. I've always enjoyed writing - PR scripts mostly, but they were always about promoting things. My blog I decided was to tell folks about my toys, what happens to them when they are adopted and, also, about the patients that come into my Stuffed Animal Restoration Clinic. However, even doing posts 3 times a week was geting to be a problem, so when I moved home - after my husband died - I started doing them once a week, always at about the same time of the day on a Sunday. So far it's working, and I'm getting more Followers too. Hope you'll find time to drop by and make our acquaintance: we'd all love to see you at COLDHAMCUDDLIES. I did drop by, and love the stories of your toys, Isobel! They have quite the personalities! 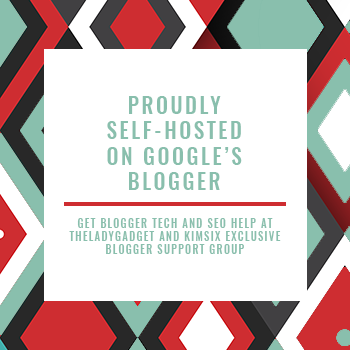 I'm happy to have met you at the Google+ BlogItUp community. I used to blog several times a week, then once a week. After a few years, my posts petered out in favour of writing novels and offering short spurts on Twitter and Facebook. I keep the blog waiting in the wings for the day I will need it again. Right now, it is the understudy. For a while, I wrote a weekly entry for my publisher's blog. It was a scheduled slot, so I wasn't allowed to slack off. Making such a commitment forces a writer to come up with a topic and follow through. 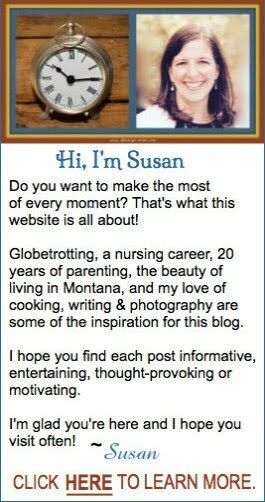 Your talents are many Sandra - writing, blogging, acting, cooking and photography. No wonder you have no time to blog - but your food and nature photos on Instagram are certainly blog-worthy! I agree - commitments and deadlines can help. Mine are self-inforced, but I have days designated when I am supposed to post (currently, Tues, Wed, Fri and Sat!). 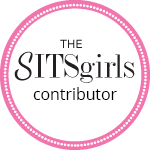 Your blog is one of my favorites - and I love coming here to see what you've written about! I'm like you, and have no defined niche. I like writing about what I want, at least for now. Great post! Your blog is one that gives me the confidence to continue in this "no Niche" pattern Lana - because I love yours too! My random mind is very fond of random blogs. Blogs which cover the spectrum of life. Good and bad. I am in awe at the number of your posts though. Two posts a week is about my maximum. Had I understood that I didn't need to post daily when I began this blog, I may not have begun this pattern of posting so frequently! It is fun though - so I continue with it! That is so right- 'no niche' is a blessing and a curse! Glad you liked the post, Mila!